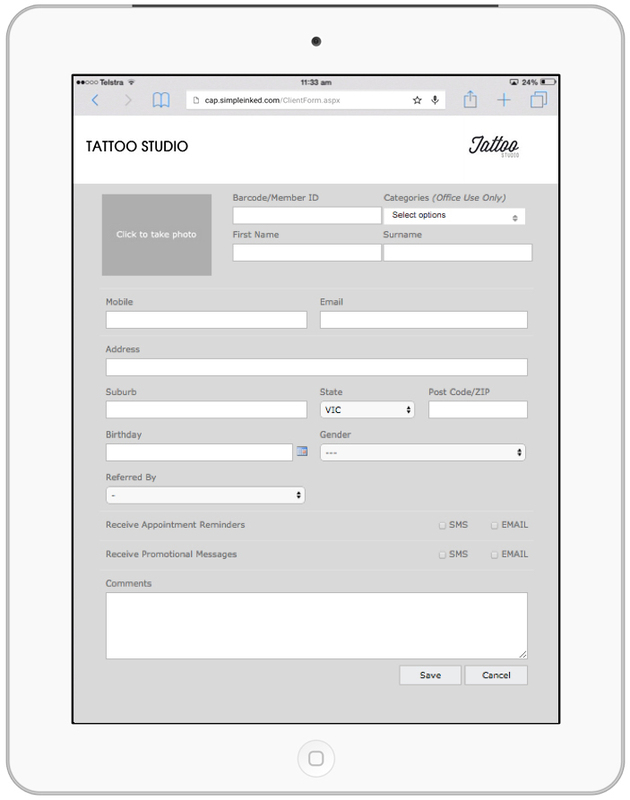 The Simple Inked Client Capture Form is designed for your tablet, so that your new clients can register their personal details. Login to your Simple Inked account, click New Client, and the Client Capture Form will be displayed. Hand the tablet to your client and have them fill in their own personal details and Save. The Client Capture Form is locked, to ensure that the client can not access anything beyond the form.